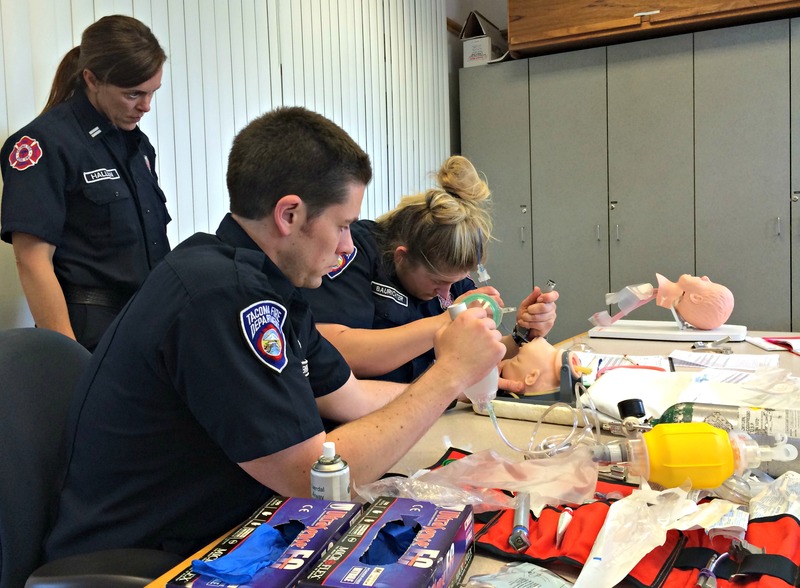 Tacoma Fire Department’s Paramedic Training Program has emerged as a model for fire-based paramedic training. Nationally accredited with CoAEMSP and CAAHEP, the program provides students with education and training of the highest quality. While in the classroom, and field and clinical sites, students are taught, coached and mentored by experienced firefighter/paramedics as well as subject matter expert physicians and nurses who demonstrate predictable excellence in the delivery of emergency services. Graduates of this program have a reputation in this community as highly trained, highly skilled, and highly experienced providers of advanced life support. Applicants must be employed and sponsored by a career fire department that provides advanced life support and be a member in good standing with the IAFF. Applicants are also required to complete a college level Anatomy and Physiology course prior to the start of the program. The Tacoma Fire Department Paramedic Program is accredited by the Commission on Accreditation of Allied Health Education Programs (www.caahep.org) upon the recommendation of the Committee on Accreditation of Educational Programs for the Emergency Medical Services Professions (CoAEMSP). The paramedic program of the Tacoma Fire Department is accredited by the Commission on Accreditation of Allied Health Education Programs (www.caahep.org) upon the recommendation of the Committee on Accreditation of Educational Programs for the Emergency Medical Services Professions (CoAEMSP).